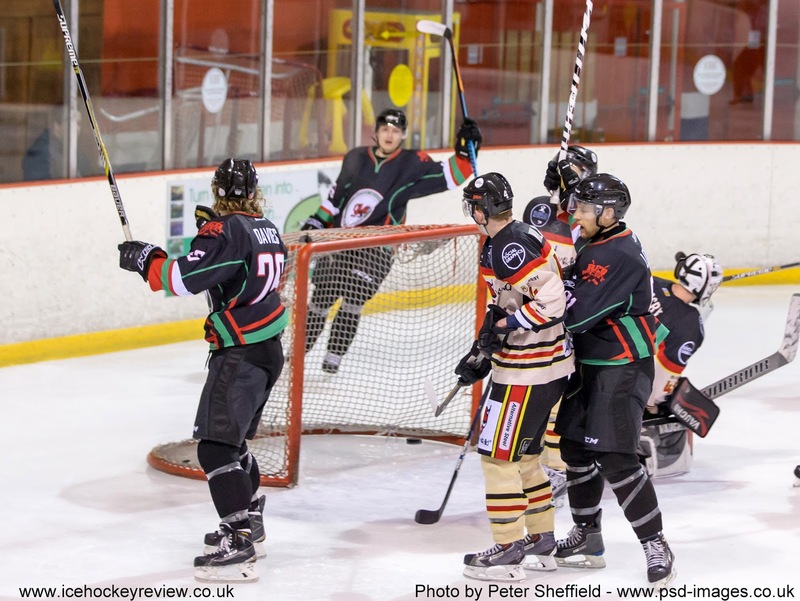 There was just one fixture in the Laidler Conference and Blackburn Eagles picked up a huge point in a 5-5 home draw against league leaders Deeside Dragons. The Dragons actually outshot the Eagles 32 to 61 over the course of the game and won the first period 0-2. 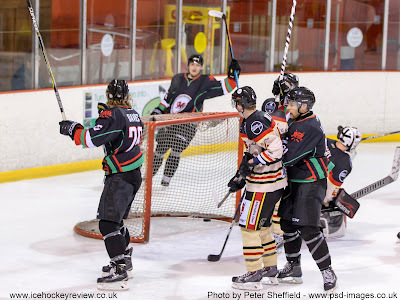 But the Eagles scored 4 unanswered goals in the period to lead 4-2 overall and, even after Deeside fought back to draw, the Eagles led 5-4 going in to the last 5 minutes. Deeside Dragons remain top of the table with a 5 point lead over second placed Widnes Wild who have played a game less. Widnes didn’t have a Laidler Conference match and instead played a charity game against the Widnes-based Riverside Raiders recreational team. The game was played in aid of the Ronald McDonald House charity and a cup was presented in memory of Antony Morris – a Widnes rec player who died recently after an accident. In order to balance out the relative playing strengths of the two teams, Widnes Wild’s player coach Scott McKenzie iced for the Raiders as did some other guest players in the shape of former Wild player Dan Bracegirdle, Altrincham Ace Mikey Gilbert and Women’s GB internationals Sarah Hutchinson and Nicole Jackson. Jesse McClure - star of TV’s “Storage Wars” - also played for the Raiders team. The game was quite close early on but eventually finished 11-3 to the Wild. Jackson performed heroics in the Raiders net and helped to keep the game fairly competitive until Widnes ran away with it in the last period.